Time to sign up for the Crash Course! For the last few years, we have been honored to be among the faculty at a Highlights Foundation workshop called Everything You Need to Know About Children’s Book Publishing: A Crash Course. It’s the perfect workshop for the true beginner, and this year’s will take place from September 19-21. You can register here or find out more here. 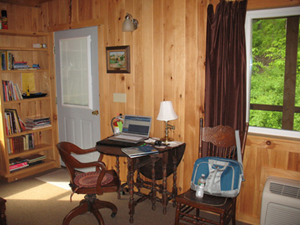 The Highlights Foundation cabins & lodge rooms are perfect for getting some writing done! 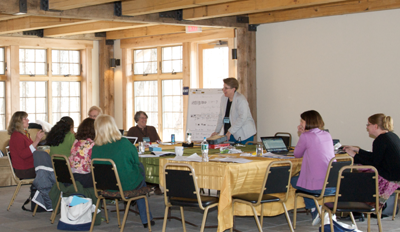 Bobbie Combs speaks to a group of children’s writers at a Highlights Foundation workshop.